China’s Ministry of Justice recently announced an updated evaluating system for lawyers, mandating that all who practice law must support the Chinese Communist Party’s (CCP) socialist rule. The Ministry of Justice notified all of its provincial branches on how to evaluate a lawyer’s professionalism, which would be the standard used to determine whether to grant a lawyer his or her practicing license. This represents an escalation of the Party’s efforts to solidify its control of lawyers, having previously required them to support the Chinese constitution. The latest rules may also put many human rights lawyers’ practice licenses at risk, because they are frequently detained because of their work. The European Union has criticised Beijing over its human rights record, ahead of a summit of top Chinese and EU officials in Brussels on April 9. The criticism, contained in a statement by the EU on Wednesday, followed two days of human rights talks between Chinese and EU diplomats. 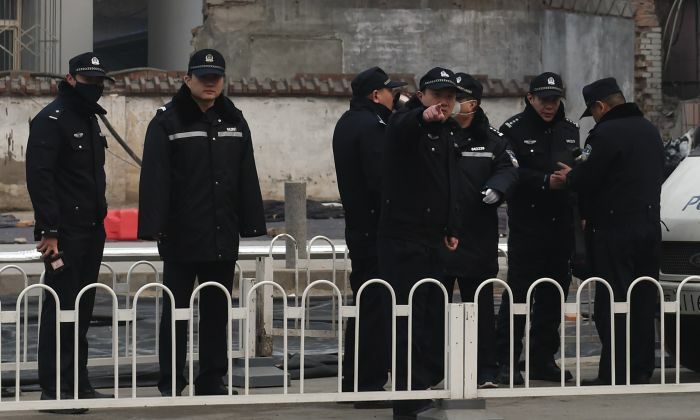 EU equally criticised China on flagging high-profile detentions and “political re-education camps’’ in China’s Xinjiang province. Among other things, the EU highlighted “the deteriorating situation of civil and political rights in China’’ pointing to the arrest and detention of a “significant number’’ of human rights defenders and lawyers. The wife of detained Chinese rights lawyer Wang Quanzhang, who has been held incommunicado without trial since 2015, has met with foreign diplomats together with Wang Qiaoling, wife of rights lawyer Li Heping, RFA has learned. “Yesterday morning, I and Wang Qiaoling met with diplomats in charge of human rights from … the U.K., U.S., Germany, the E.U., Switzerland and Austria,” Wang’s wife Li Wenzu told RFA on Thursday. Li said the conversation had largely focused on her message to the ruling Chinese Communist Party. “I wanted them to pass on a very clear demand from me to the Chinese government, that the Tianjin No. 2 Intermediate People’s Court issue its verdict immediately,” she said. “The [trial] ended … so the fact that they still haven’t issued a verdict indicates that they want to drag things out still longer, until everyone has forgotten about the whole thing,” Li said. “They will then deal with the case when nobody is thinking about it any more,” she said. Li said state security police had issued the families of rights lawyers and activists detained in a nationwide crackdown since July 2015 with the same warning; not to meet with foreign diplomats. During the Edelstam Prize 2018 award ceremony, the Chinese sign for love was exposed, and all persons engaged in organizing the ceremony, wore the Chinese sign for love on their hearts. The theme of love and happiness pervaded the whole ceremony, especially in the end when children sang “We are the world,” everyone holding a red bucket with the Chinese sign of love to show support for Li Wenzu, responsible for organizing the important “Red Bucket Protest,” which took place on July 7, 2017 in front of the Supreme People’s Procuratorate in Beijing. All the guests received a red chocolate heart when leaving the ceremony. During the “Red Bucket Protest,” the wives of the detained human rights lawyers gathered in front of the Procuratorate in bright and red clothes with red accessories and red buckets, a color of love and happiness, to publicize their demand for information and access to the prisoners. On their dresses they had printed their husband’s names and messages of love. All the participants in the protest were finally detained, some of them badly beaten. Diplomats were not allowed into the Procuratorate. 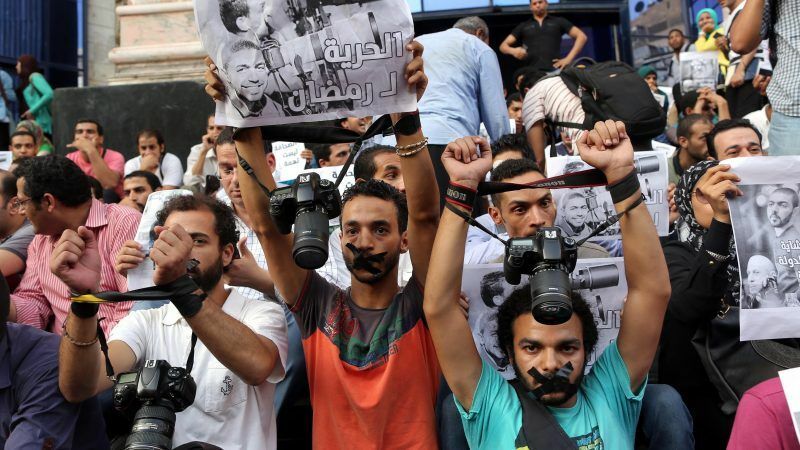 Egypt/EU: Human rights violations in Egypt: EU must speak out! As a group of various lawyer’s associations from around the world, we are deeply concerned about the physical and mental health situation of our fellow colleague, lawyer Wang Quanzhang. According to our sources, lawyer Wang Quanzhang was seized by police on 3 August 2015 in the context of the ‘709 crackdown’ and was charged in January 2016 for allegedly ‘subversion of state power’. At the time of writing, he has been held incommunicado for over three years without any form of due process, and risks further deterioration of his health condition while in detention. In particular, we understand that lawyer Wang Quanzhang was not given access to an independent legal counsellor of his choosing. He has been denied access to his family lawyer, who was allegedly intimidated into withdrawing from his case. We remain concerned about risks of exposure to torture and ill-treatment as reported by the United Nations Committee against Torture during their review of China in October 2015. In addition, we understand that no evidence of any form or shape has substantiated the charges put against him. As practicing lawyers, we reiterate that this would be the basis of any proper prosecution. We further understand that, despite the fact that lawyer Wang Quanzhang had no medical conditions at the time of his disappearance, he has been made to take medication to treat high blood pressure. We are worried about the deterioration of Wang’s health due to forced medicationbased on the past experience of 709 victims suffering from the same problem. Lastly, we express our concern with regard to measures of intimidation and harassment imposed to his wife, Li Wenzu and to their child. Since his arrest, they have been denied the right to visit him and have been subject to pressure from local authorities. We understand that, among the 321 lawyers, rights activists and their family membersaffected in the context of the 709 crackdown, lawyer Wang Quanzhang is the only one who has been neither tried nor released. His wife Li Wenzu has filed 30 suits against the court demanding a trial for her husband, in line with Chinese law, but to no avail. We are profoundly concerned about lawyer Wang, and all the other lawyers who face continuous harassment simply for the exercise of their mandate as legal professional and defenders of the basic rights of citizens. (Genève, le 10 décembre 2018) Dans une lettre adressée aux autorités chinoises en marge du 70ème anniversaire de la Déclaration universelle des droits de l’Homme et à l’initiative de la Commission des droits de l’Homme de l’Ordre des avocats de Genève, 20 associations et barreaux d’avocats du monde entier demandent la libération immédiate de l’avocat chinois Wang Quanzhang, détenu au secret en Chine depuis plus de trois ans pour « subversion du pouvoir d’État ». L’avocat chinois Wang Quanzhang a été arrêté par la police le 3 août 2015 dans le cadre de l’opération policière “répression 709” au cours de laquelle 321 avocats et défenseurs des droits de l’Homme ont été arrêtés. Inculpé en janvier 2016 pour « subversion du pouvoir d’État », Wang Quanzhang est le dernier des avocats touchés par la « répression 709 » à n’avoir été ni jugé, ni libéré. Son épouse Li Wenzu a intenté 30 actions en justice afin de demander un procès pour son mari, conformément à la loi chinoise. Au demeurant, elle et son fils font l’objet de mesures d’intimidation et de harcèlement et se sont vu refuser le droit de lui rendre visite. Détenu au secret depuis plus de trois ans et sans aucune forme de procédure régulière, Wang Quanzhang n’a pas eu accès à un avocat indépendant de son choix. Il s’est vu refuser l’accès à l’avocat de sa famille, qui aurait été intimidé et contraint de se retirer de l’affaire. De plus, son état de santé se détériore par le fait de la prise forcée de médicaments contre l’hypertension artérielle, alors même qu’il n’avait aucun problème médical au moment de sa disparition. – Mettre fin à toute forme de harcèlement à l’encontre de Li Wenzu, son épouse, et de leur enfant, et condamner tout harcèlement futur des familles des avocats détenus par les autorités locales. – Coopérer utilement avec les experts internationaux compétents, notamment le Haut-Commissariat aux droits de l’Homme et le Rapporteur spécial des Nations Unies sur l’indépendance des juges et des avocats, afin de modifier toutes les lois et politiques qui restreignent la capacité des avocats à exercer librement et efficacement leur profession dans le but de les rendre conformes aux normes internationales et aux obligations et engagements internationaux de la Chine. La Commission des droits de l’Homme de l’Ordre des avocats de Genève oeuvre en faveur des droits de l’Homme tant en Suisse qu’à l’étranger par le biais d’interventions diverses telles que des missions d’observation judiciaire et des interpellations écrites ou orales, notamment auprès des autorités. Elle effectue également un travail de sensibilisation aux problématiques liées aux droits de l’Homme et à la défense de la défense par le biais de conférences, rencontres et publications.